Blue Mouse Ears Hosta is a “Rock Star” in any garden! And the leaves really do look like mouse ears. The plant that I photographed for this article was growing in pretty heavy shade so it doesn’t has as much color as it would if it were out where it would get more sun. It grows tight and compact, it’s a smaller growing Hosta that only gets 8 inches high and only 12″ wide. The blueish green color makes it a standout in any garden and people go crazy over them. When I mention that I have them, it’s one of the first things people ask about when they get to the nursery. Blue Mouse Ears is hardy and grows well in zones, 3, 4, 5, 6, 7, 8 and 9! How’s that for being adaptable? Blue Mouse Ears Hosta, is a hot, hot seller. 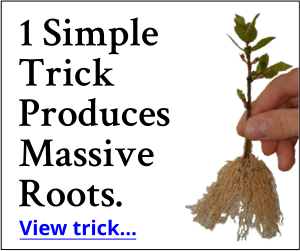 This really is a versatile plant that can grow in just about any garden. It will tolerate shade but is also not easily offended by a lot of sun. Now, here’s the million dollar question; “Does anybody in your town grow and sell these?” They should, people fall in love with them on the spot. But I’m guessing that we this post gets out in the world, all kinds of people are not going to be able to find these. The beauty of this plant is that to the best of my knowledge it’s been around a long time and is not patented and you and I are free to grow it to our hearts content. I am constantly reminding Our Members How Easy a Plant Like this is to Sell Wholesale. Small garden centers are always looking for a place where they can pick up a 25 to 50 plants in a hurry. On Friday morning their sales are might be full stocked and looking great. Two hours later, right before the weekend, somebody might come by and completely wipe them out on two or three items. Small garden centers and landscapers are just like you and I. They have a limited budget. They can’t buy and stock up on everything they’d like to. Even a small grower like me, there are a million things that I don’t have that I wish I had. Right now I don’t have a single Blue Mouse Ears Hosta in my nursery. They all sold at my fall plant sale. Geez Louise! How could they not sell? Look at how pretty the petite little bloom is. I have some ordered for spring, but when buying wholesale, you don’t know for sure you are going to get the plants that you order until you have them in your hand. I will be really, really disappointed if my wholesale supplier cuts my order, but it happens all the time. If somebody shows up at my nursery today with a truck load of plants that I don’t have, especially perennials, I’d buy the whole truck load. This is what people don’t quite grasp. You don’t have to have a full blown plant nursery. I don’t care what your nursery looks like, how big it is or isn’t, or anything else. If you show up and say; “Mike, I have 25 of these and 25 of those.” and I look in the truck and the plants look good and the price is right, I will buy them on the spot. Every single person in this business is just like that! Hosta are easy to grow and propagate because all you have to do is dig them up and divide the. I’ll do a post about that later, remind me. But what if you don’t have any to start with? Do like I do and most of our members do, buy a bunch of them wholesale. I ordered thousands and thousands of dollars worth of hosta for spring, many of them I am paying less that $1.50 for. Sure they’re small, but they grow quickly and I’ll sell them for $5.97 each in a matter of months and that’s really, really cheap. I’m crazy for selling them that cheap. But I am a bit crazy. Lots and lots of Hostas are offered For Sale in Our Members Area at wholesale prices as well. But we only accept new members a few times a year so check the date on “This Page” and mark your calendar for when we open up to new members. If you’d like to learn more about me and this business of growing and selling small plants, See this Page. I have a hosta called frosted blue mouse ears. It has a bright yellowish green margin around every leaf. It seems to be hardier than the blue mouse ears and stays short but expands to a bigger patch each year. Our dog got into the garden last year and tore up all my begonias that I hadn’t planted yet and a few perennials and the blue mouse ears might have been one of them. I found a small piece (about 3 leaves) growing under another hosta and moved it to its own spot and it looks pretty good so far. I have been buying short (usually 6 inches and under) hostas from Bluestone perennials for years but their selection was more limited this year so I didn’t get any new ones. I really enjoy the small ones on the edge of my shaded garden under a large cherry tree. It gets some morning sun but the house and tree block the hot afternoon sun. Thanks, Mike for all your good advice. Our lawn has always been covered by mole tunnels and already has some holes that look like ones made by skunks. From your article, I think it might be early for skunks but we have lots of birds in the back yard. I stopped filling the feeder with bird seed because the squirrels would empty it in one day. They run up the side of the house and jump off onto the feeder. The squirrel baffle under the feeder keeps them from running up the pole but I can hear them climbing the stucco. The owner of a local Wild Bird store suggested putting wooden dowels around the feeder with enough space for the birds to get through. That worked well for awhile. One day I was gone all day at a meeting and came home to find every one of the wooden dowels chewed off down to the bottom. Guess they had absorbed the oil from the black oil sunflower seeds. Of course, the feeder was empty too. I tried putting some less expensive seed and pieces of dried corn on a platform made from an old window screen (for drainage) but they didn’t eat that. The birds are still around but I enjoyed seeing all the different species at the feeder that is close enough to the back window that I can see them clearly. Don’t want to move the feeder because there is a large Hemlock tree that the squirrels can jump from and I won’t be able to see the birds as well. To my knowledge they are always done via division or tissue culture. Tissue culture is done in a lab. Dear Mr MIKE, I am very thankful to you and your team. I have learned so much with your emails.I am million time better Gardner than what I was..
Every day I learn some thing new . God bless you all. Thank you Leslie, I appreciate your kind words. I’d love to see what hostas are available in the Buy/Sell area. I’m having a love affair with hostas!! Do I have to be a business group member to buy? 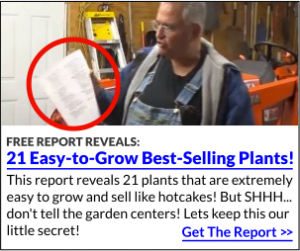 No, you don’t have to have a business to join the http://backyardgrowers.com/join but we only accept new members a few times a year. Blue Mouse Ears has been a hot, hot seller in our group this spring. Cute, but I not only have snails and slugs, but we also have native California Banana Slugs. Gross and greedy. That tender little hosta would last about 1 night in my garden. Just to add to reply: I have mulch around mine and I put a coating of play sand on top of mulch around them. These mouse ears hostas look like dessert for our deer! Am I correct? Here in NJ unfortunately our first question about a pretty plant is “Will the deer like it?” If the answer is “yes”, we have to pass. Thanks for your wonderful informative emails. Love this plant..I think it is beautiful. I’d love to reproduce it. Those are the cutest little things. How do I buy them or get them? I wanted to thank you for all your emails and sharing your gardening (and life) wisdom. They are so refreshing to read. I have learned a great deal from them. I am up here in Montana, about 12 miles from the Canadian border and really enjoy gardening, although I am really just learning all the secrets. Trial and error for sure. I know I have killed more plants than I have right now! Anyway, thanks again Mike for all the fun reads. You should be able to buy them online or possibly locally. We sell them here at Mike’s Plant Farm but they always sell out quickly. these are the cutest little things. Where do I buy them. I wanted to tell you how much i enjoy your emails and how much I have learned. They are refreshing after all the other junk and ads I get! LOL. I am up here in Montana, 12 miles from the Canadian border. Although it does get chilly here, i can still grow most things that are for zone 5 as we are in kind of a sun belt (so to speak). Anyway, thanks again for sharing your wisdom. I am 64 and just really learning the secrets of gardening, although i have played around with it all my life. Maybe I will get brave and try some plant selling, who knows. Do you happen to sell moon lilies? No I don’t, at least not at this time.